All our team regularly attend financial seminars to keep up to date, and be able to offer the latest cutting edge tax strategies and solutions for our clients. To find out more about us simply click on the thumbnails. Paul grew up in Sydney and studied Commerce (Accounting and Economics) at the University of New South Wales. He completed his professional year with the Institute of Chartered Accountants in 1981, and then moved with his family to the Byron/Tweed region. In 1983 Paul, along with Damien Jenkins, established Jenkins Mayberry and Associates (now MMA) in Murwillumbah and they both continued to be the driving force behind the growth and success of the firm for the first 23 years. 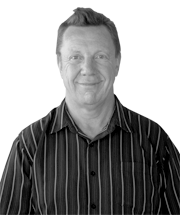 With over 30 years total experience in public practice, Paul has become an expert in taxation, business advisory, and self-managed superannuation for large or small enterprises. He has built long-term professional relationships with his clients and provides invaluable insights into their business. Paul is committed to high professional standards, and has a team of dedicated and energetic professional staff who help provide clients with accurate and timely advice. Brian is committed to the local community and is the current treasurer, and active member, of both the Murwillumbah Amateur Cycle Club and the Murwillumbah Theatre Company. He is also a member of the Rotary Club of Murwillumbah and a life member of the Murwillumbah Apex Club. Brian was raised in Western NSW and studied accounting at Charles Sturt University, Bathurst, while working full time. He gained 13 years experience as a business services manager with Horwarth & Horwarth and other firms in Sydney. Brian moved to Murwillumbah in 1991 to join Mayberry Meldrum & Anderson and became a partner of the firm in 1995. Brian’s experience in a business services role is invaluable for anyone looking to make their business work harder, so they don’t have to. He also specialises in auditing self managed super-funds, giving him excellent technical knowledge of the area. Jeannie was born in Sydney, and raised on various farming properties in central NSW. She then lived in Rockhampton, and Evans Head, before finally settling in Murwillumbah in 1995. Jeannie studied accounting at the University Of Southern Queensland, Toowoomba, and then continued her studies to become a Certified Practicing Accountant, a Registered Tax Agent, and recently completed a Diploma in Financial Planning. 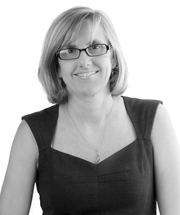 Jeannie joined Mayberry Meldrum & Anderson in 2000, and became the first female partner in July 2006, and she now supervises a team of four fully qualified accountants, who assist her to look after her clients and their taxation and accounting needs. 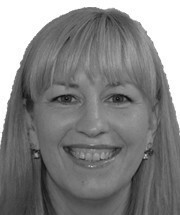 Jeannie is enjoying growing her practice, and welcomes new clients to come and see how she can assist them. 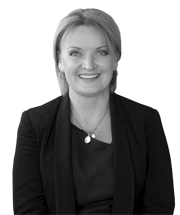 Jeannie’s expertise includes all levels of taxation planning and compliance issues, including indirect taxation (GST, CGT, FBT, and Payroll tax), self managed super funds, as well as financial accounting and business structuring and advice. 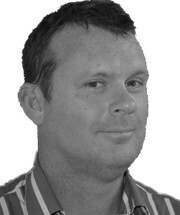 Nick grew up in Murwillumbah and moved to Brisbane in 1996 to complete high school. He continued on to the University of Queensland where he studied Commerce and Law. Nick gained experience in the Brisbane office of a national accounting firm, where he worked with primary production clients, small business entities, and professional businesses. Nick gained experience advising clients on a range of matters including business analysis and advice, superannuation, taxation planning and compliance. In 2010 Nick returned home to the Northern Rivers to raise a family in the region that he loves. While working at Mayberry Meldrum & Anderson, Nick has enjoyed the relationships he has built with his clients and is dedicated to actively helping them improve their businesses. 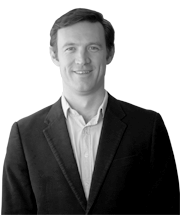 Nick joined the practice as a partner in July 2014 and looks forward to building on the firms reputation for providing accurate and timely advice now and into the future. Nick takes a results based approach to advice. With a comprehensive understanding of complex matters including: Small Business CGT concessions; Taxation planning; International business and taxation; Structuring advice; Superannuation; and more, he can help deliver the desired outcome for you and your business. Caroline was born in Berkshire in the United Kingdom. She worked for Barklays Bank in Cornwall for 6 years, achieving promotion to Level 3 as a Branch Supervisor. In 1989 Caroline came to Australia on a working holiday and met her Australian husband. She became an Australian resident in 1991 and has spent the last 20 years living in the Tweed. 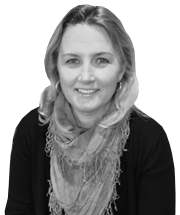 For over 10 years, Caroline has been the firms corporate compliance officer. She attends to all our clients corporate affairs requirements including ASIC annual reviews, appointment and retirement of office holders, share and unit transfers, as well as any other corporate changes. She also prepares and lodges Business Activity Statements, and does GST and ABN compliance forms. Kerry was born and raised in Murwillumbah. She completed her education at Murwillumbah High School, before going to Sydney to study Mothercraft Nursing. Kerry travelled throughout Europe before settling and marrying in Greece. She returned home to raise her family of four children and support her husband, Pavlos, in a variety of businesses. She has also worked in the finance industry for 13 years before deciding on a change of career, and has worked with Mayberry, Meldrum & Anderson since the beginning of 2010. After completing high school, Chrissy began working in Administration at an Accountants office in June 1988 on the Sunshine Coast, Qld. After a few years moved over to the Accounting side of the business, where she remained until a change in lifestyle prompted a move over the border to Mayberry, Meldrum & Anderson in November 1999. Chrissy has nearly twenty years experience in the preparation of financial accounts and income tax returns for individuals, partnerships and companies, including preparation of Business Activity Statements. 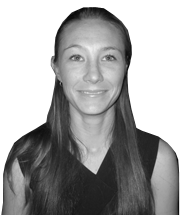 She also manages the internal accounts receivable and reporting section of our firm. Favourite pastime out of work is curling up with a good book and box of chocolates! Colin’s parents moved to Murwillumbah in the late 60’s from Sydney and began an Electrical Contracting business which is still going strong today with Colin’s brother, Bill at the helm. Colin went to school in Murwillumbah and finished with two years at school in Lismore. A degree in Economics soon followed from the University of Queensland and then a two year Advanced Diploma in Accounting from the NCIT. These qualifications are rounded off by a Masters Degree in Professional Accounting from The Southern Cross University, completed just this year. 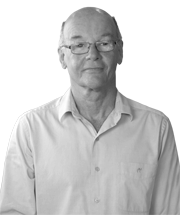 Colin has a keen understanding from many years of bookkeeping and office administration of what life is like on the other side of the desk. He understands the time constraints many small businesses face in work/family and then keeping a presentable set of accounts and so is in the best position to understand client’s information, no matter how cryptic, and produce the silk purse with a minimum of fuss and bother. Colin has worked at Mayberry Meldrum and Anderson since 1999, taking his long service leave in August last year to tour Europe with his son Max on his Motorcycle that he had shipped over for the trip. Colin’s interests also include cooking, playing Rugby, collecting old stuff (records, 60’s Mercedes Benz’s, kitchy kitchen stuff etc), and film photography. Tony Tickle was born in Glen Innes and moved to the Brunswick Valley in 1978. After completing his education, he commenced a retail career and has twenty years experience in small business management. During this time Tony completed a Certificate IV in frontline management. Tony has experience in office management, accounts payable and receivable, and payroll. He also has experience with MYOB, and other off the shelf accounting software. 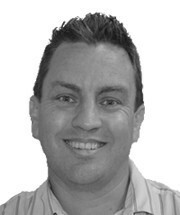 Tony can answer any queries regarding the entry of raw data into your MYOB financial software package. Tony joined Mayberry Meldrum and Anderson in 2006 and has been preparing Tax returns and financial statements for Individuals, Partnerships and Companies as well as Business Activity Statements. Tony recently became a JP and can assist with certifying documents. His interests outside work include travel, live theatre and cars. Bernice was born in Broken Hill, and grew up on farms at Tumbulgum and Cudgen. She has also lived in Armidale, Kyogle and Moura, but has returned to live in the Kingscliff and Cudgen areas. She completed high school at Tweed River High, South Tweed Heads and went on to work in the Commonwealth Bank at Tweed Heads. Bernice married, raised four children and was involved in several businesses with her partner before studying accounting. She completed a Bachelor of Commerce(Accounting) at the University of New England Armidale and went on to post graduate studies completing the Graduate Certificate In Professional Accounting. She is a member of the Institute of Professional Accountants. 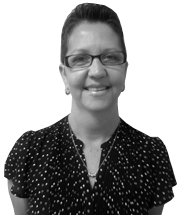 Bernice has worked in accounting practices at Mudgeeraba, Burleigh Heads, Coolangatta, Kingscliff and has now joined the team at Mayberry Meldrum & Anderson. 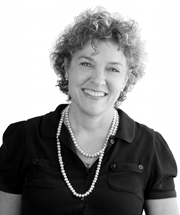 She has gained experience working with clients in a varied range of businesses and industries. 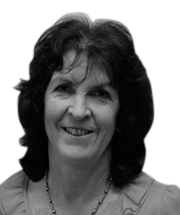 She has always liked Murwillumbah and enjoys working in the district. 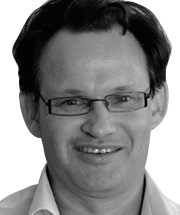 Peter Ohl grew up on the Gold Coast completing a Bachelor of Business at Griffith University, Gold Coast in 1992. After university Peter decided to pursue one of his other passions, tennis. He became Tennis Professional at Royal Pines Resort, Gold Coast before venturing south to take a position as Head Coach at Murwillumbah Tennis Club. 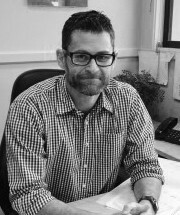 In 2005 Peter rekindled his passion in accounting and commenced working for a Public Practice accounting firm in Murwillumbah. He was employed there for nearly 9 years and specialised in taxation and accounting services for individuals, families and small to medium sized businesses. In 2012 Peter completed the CPA Professional Program achieving High Distinctions in Advanced Taxation, Financial Reporting and Strategic Management Accounting. In 2013 Peter joined Mayberry, Meldrum & Anderson. Peter still enjoys a game of tennis between helping raise a young family with his wife Liz. Born in Sydney, Will grew up dividing his time between the beaches of Lennox Head and the lack of beaches in Lismore. He gained his Bachelor of Business (Accounting) degree from Southern Cross University in 1999, and became a C.P.A in 2003. After a lengthy stint working for accounting firms on the Gold Coast, Will commenced with Mayberry Meldrum Anderson in 2011. In 2008, Will and his wife Gabby lived in Ethiopia for several months, as volunteers at an HIV orphanage, and as teachers at a primary school. Besides working at MMA, he considers this, and adopting his daughter in 2009 as life highlights. You may spot Will running (slowly) around the streets of Murwillumbah, swimming at TRAC or as one of the local M.A.M.I.L’s. Ginger grew up in Mullumbimby NSW. After completing the Bachelor of Business degree majoring in Accounting at Southern Cross University, Lismore NSW, Ginger moved to Melbourne to start her career in tax accounting. Ginger worked at a Chartered Accountant firm in South Yarra, VIC where she commence the Chartered Accountant Program. The seasonal changes and city lifestyle were deciding factors to return to the Byron Shire. In 2013 Ginger worked in an accounting firm in Lismore NSW, before being employed at Mayberry Meldrum & Anderson in April 2015. Ginger is currently studying, working towards completing the Chartered Accountant Program. Ginger thoroughly enjoys her new position and looks forward to the future ahead. Some of Ginger's interests include outdoor activities, fishing, travelling, reading and playing volleyball. Deborah is new to the team, joining us in 2015. She combined working in administration and retail roles before deciding to study and enhance her career. Completing her Batchelor of Business (Accounting) degree in 2009 and working in a couple of accounting practices in Coolangatta and Palm Beach before joining our team. Her passion for travelling has taken her around Australia and visiting different countries overseas. Upon visiting the Northern Rivers with her husband and two boys she fell in love with the region and couldn’t think of anywhere better to live and raise her family. Deborah brings experience from varied business operations and structures from clients from all walks of life and understands the importance of assisting clients with their accounting and taxation needs to enable them to get on with running and growing their business.